"Overall, the book walks a delicate balance between evidence and advocacy regarding the care of people with chronic conditions. Nolte and McKee conclude the volume with the following: 'A first step is to recognize that something must be done. A second, which we hope will be facilitated by the evidence provided in this book, is to realize that something actually can be done, and that they can do it (p. 240)'. The overarching desire to match the need for evidence with the reality that advocates (including policy-makers) need a reasoned voice makes the book well suited to health policy deliberations." International Journal of Integrated Care The complex nature of many chronic diseases, which affect people many different ways, requires a multifaceted response that will meet the needs of the individual patient. Yet while everyone agrees that the traditional relationship between an individual patient and a single doctor is inappropriate, there is much less agreement about what should replace it. Many countries are now experimenting with new approaches to delivering care in ways that do meet the complex needs of people with chronic disorders, redesigning delivery systems to coordinate activities across the continuum of care. Yet while integration and coordination have an intuitive appeal, policy makers have had little to help them decide how to move forward. The book systematically examines some of the key issues involved in the care of those with chronic diseases. 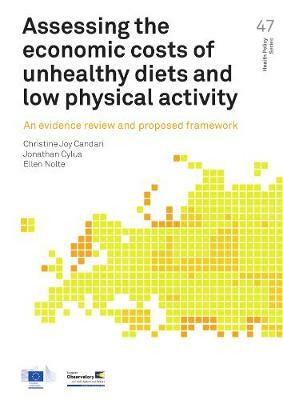 It synthesises the evidence on what we know works (or does not) in different circumstances. 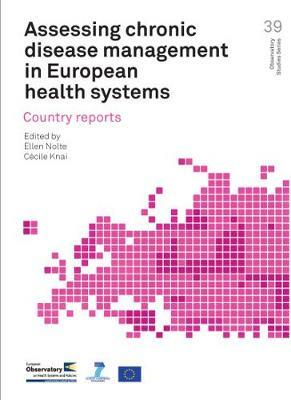 From an international perspective, it addresses the prerequisites for effective policies and management of chronic disease. Taking a whole systems approach, the book: Describes the burden of chronic disease in Europe Explores the economic case for investing in chronic disease management Examines key challenges posed by the growing complexity in healthcare including prevention, the role of self-management, the healthcare workforce, and decision-support Examines systems for financing chronic care Analyses the prerequisites for effective policies for chronic care Caring for People with Chronic Conditions is key reading for health policy makers and health care professionals, as well as postgraduate students studying health policy, health services research, health economics, public policy and management. Contributors: Reinhard Busse, Elisabeth Chan, Anna Dixon, Carl-Ardy Dubois, Isabelle Durand-Zaleski, Daragh K Fahey, Nicholas Glasgow, Monique Hejmans, Izzat Jiwani, Martyn Jones, Cecile Knai, Nicholas Mays, Martin McKee, Ellen Nolte, Thomas E Novotny, Joceline Pomerleau, Mieke Rijken, Dhigna Rubiano, Debbie Singh, Marc Suhrcke. 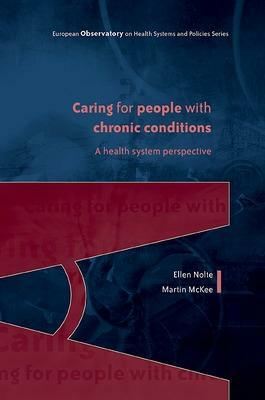 Buy Caring for People with Chronic Conditions: A Health System Perspective by Ellen Nolte from Australia's Online Independent Bookstore, Boomerang Books. 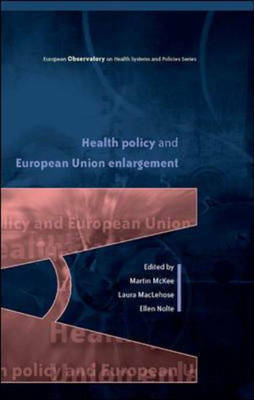 Ellen Nolte is a Senior Lecturer in the Health Services Research Unit at the London School of Hygiene & Tropical Medicine and an Honorary Senior Research Fellow at the European Observatory on Health Systems and Policies. Martin McKee is Head of Research Policy of the European Observatory on Health Systems and Policies and Professor of European Public Health at the London School of Hygiene & Tropical Medicine.